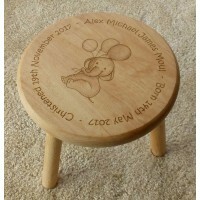 Child's Wooden stool personalised with cute elephants. 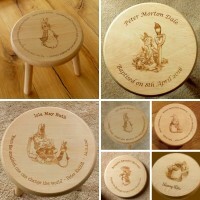 Just choose from the ideas shown and we'll se..
Small wooden stools with three legs for Babies and Children gifts. 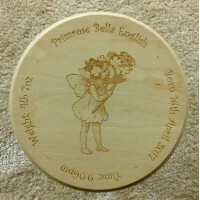 Personalised and engraved with a .. Wooden stool engraved with a Unicorn design. 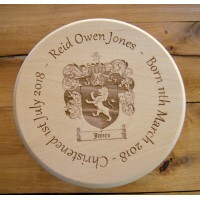 Let us know what wording you would like round the outsi..
Small three legged wooden stool engraved with a Coat of Arms or Family crest. 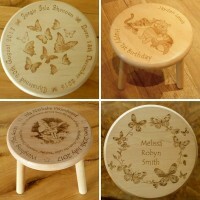 Let us know the surnam..
Personalised wooden stool for children and babies. Engraved with Noah's Ark design and any wording y..